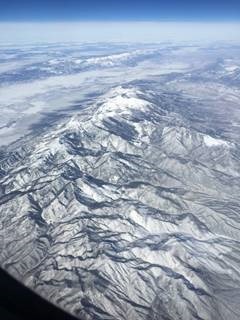 You know you have an obsession when you are flying 6 miles over Colorado; look out your window at the beautiful scenery; and all you can think about is how the rocky mountain topology reminds you of conductor surface roughness! Well call me obsessed because that’s exactly what I thought on my way to DesignCon 2017 in Santa Clara, CA. 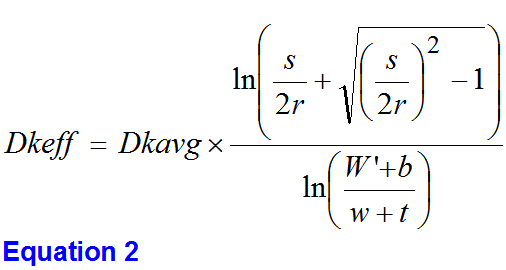 For those of you who know me, you know that I have been researching practical methods to model conductor surface roughness, and its effect on insertion loss (IL). I have presented several papers on the subject over the last couple of years. It’s one of my pet projects. 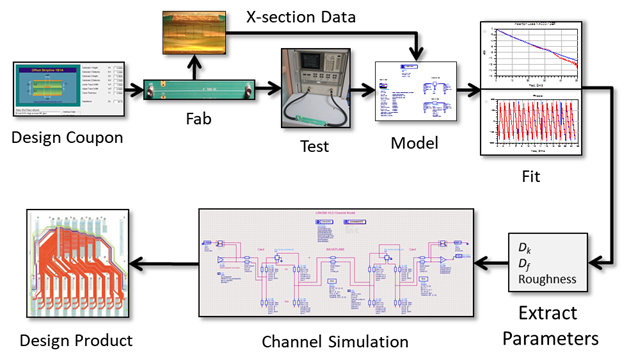 This year, at DesignCon, I presented a paper titled, “A Practical Method to Model Effective Permittivity and Phase Delay Due to Conductor Surface Roughness” . 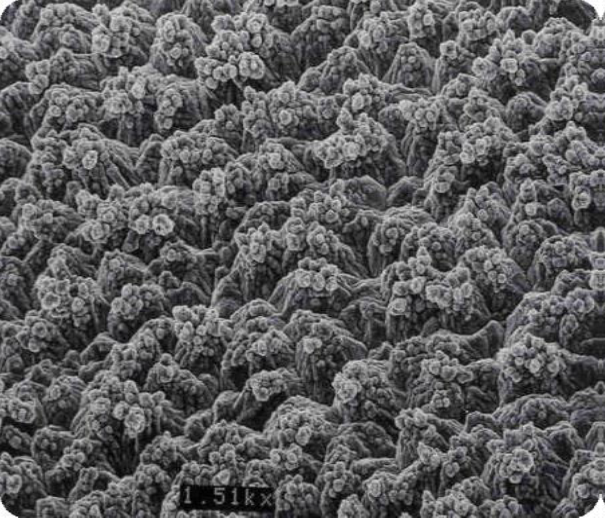 Everyone involved in the design and manufacture of printed circuit boards (PCBs) knows one of the most important properties of the dielectric material is the relative permittivity (εr), commonly referred to as dielectric constant (Dk). But in reality, Dk is not constant at all. It varies over frequency as you will see later. 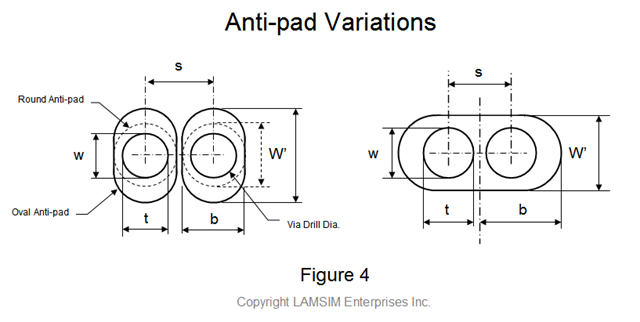 We often assume the value reported in manufacturers’ data sheets is the intrinsic property of the material. But in actual fact, it is the effective dielectric constant (Dkeff) generated by a specific test method. 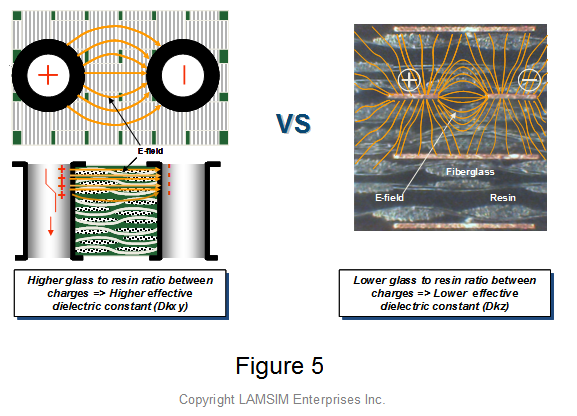 When you compare simulation against measurements, you will often see a discrepancy in Dkeff and IL, due to increased phase delay caused by surface roughness. This has always bothered me. For a long time I was always looking for ways to come up with Dkeff from data sheet numbers alone. Thus the obsession and motivation for my recent research work. Since phase delay, also known as time delay (TD), is proportional to Dkeff of the material, my theory was that the surface roughness profile decreases the effective separation between parallel plates, thereby increasing the electric field (e-field) strength, resulting in additional capacitance, which accounts for an increase in effective Dk and TD. The main focus of my paper was to prove the theory and to show a practical method to model Dkeff and TD due to surface roughness. By referencing Gauss’s Law for charged parallel plates, I confirmed mathematically, and through simulation, how the dielectric thickness and permittivity are interrelated to e-field and capacitance. 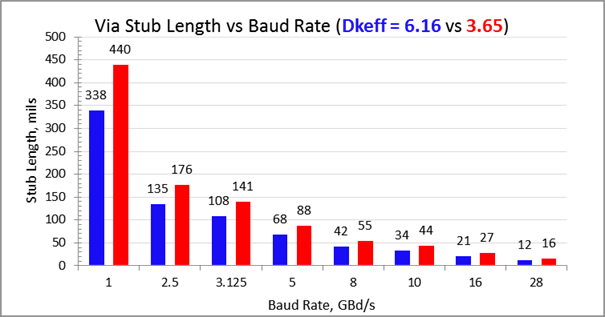 I also revealed how the 10-point mean (Rz) roughness parameter can be applied to finally estimate effective Dkeff due to roughness. Finally I tested the method via case studies. In his book, “Transmission Line Design Handbook”, Wadell defines Dkeff as the ratio of the actual structure’s capacitance to the capacitance when the dielectric is replaced by air. 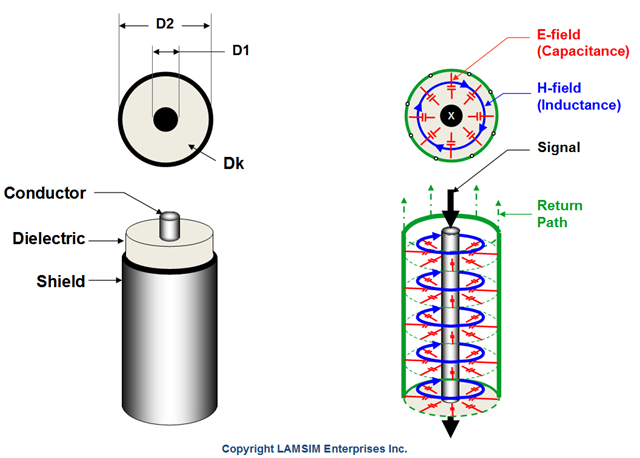 Dkeff is highly dependent on the test apparatus and conditions of how it is measured. There are several methods used in the industry. 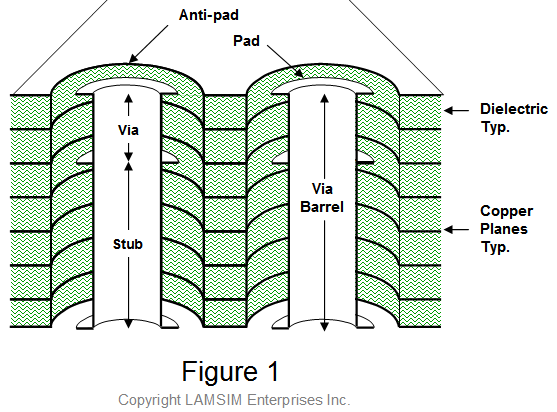 One method that is commonly used by many laminate suppliers is called the clamped stripline resonator test method. 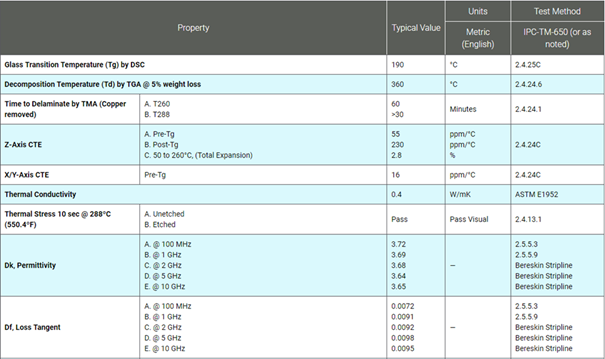 It is described by IPC-TM-650, section 2.5.5.5, Rev C.
In short, this method rapidly tests dielectric material for permittivity and loss tangent, over an X-band frequency range of 8-12.4 GHz, in a production environment. It does not guarantee the values are accurate for design applications. 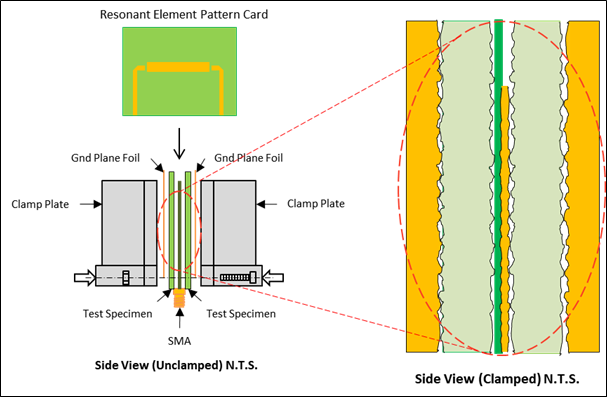 The measurements are made under stripline conditions, using a carefully designed resonant element pattern card, made out of the same dielectric material to be tested. The card is sandwiched between two sheets of unclad dielectric material under test. 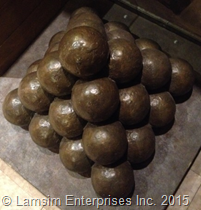 The whole structure is then clamped between two large plates, lined with copper foils that are grounded. Removing the copper from the material under test, leaving the bare substrate, complete with the micro void imprint of the copper roughness. 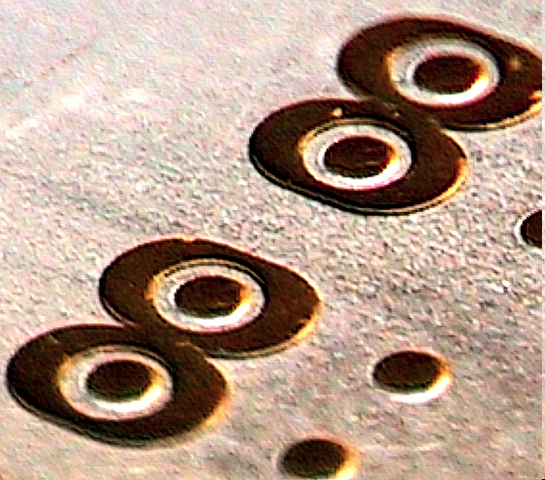 The air gap between resonant element pattern card and material under test, due to the copper thickness of the etch pattern. 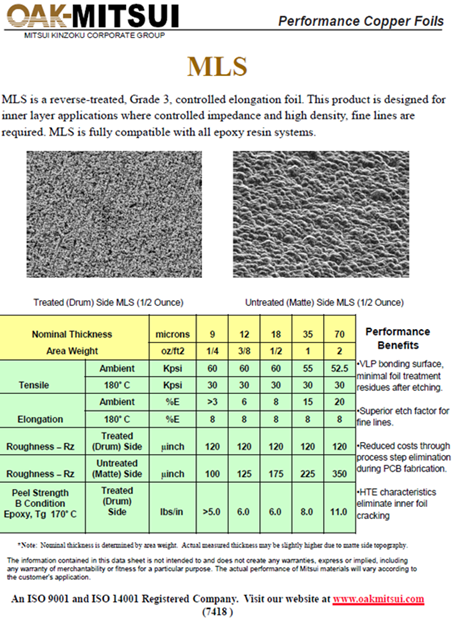 The roughness profile of the copper, on the resonant element pattern card and fixture’s grounded foil reference planes, are different than would be in practice, unless the same foil type is used. 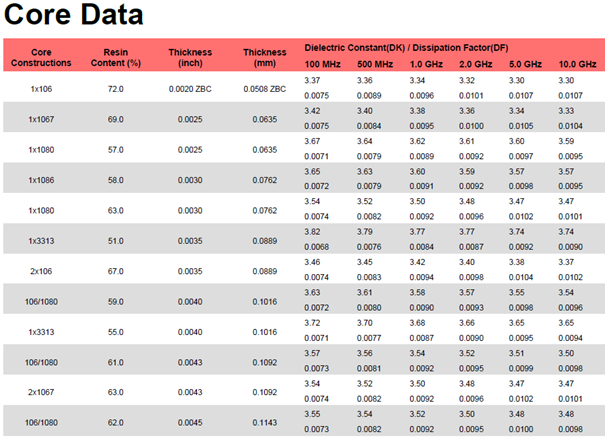 Where: Hsmooth is the thickness of dielectric from data sheet; Rz is 10-point mean roughness from data sheet; and Dkeff is the Dk from data sheet. With reference to Figure 1, using Dkeff with rough copper model, as shown on the left, is equivalent to using Dkeff_rough, with smooth copper model, as shown on the right. 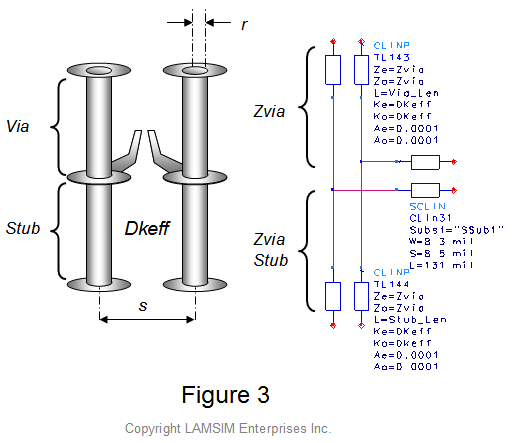 Therefore all you need to do is use Dkeff_rough for impedance calculations, and any other numerical simulations based on surface roughness, instead of Dk published in data sheets. 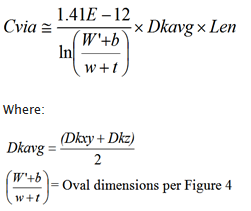 Figure 1 Effective Dk due to roughness model. 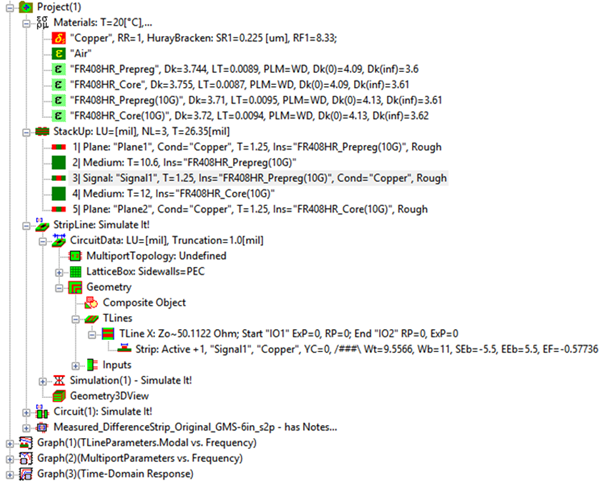 Using Dkeff with rough copper model (left) is equivalent to using Dkeff_rough with smooth copper model (right). 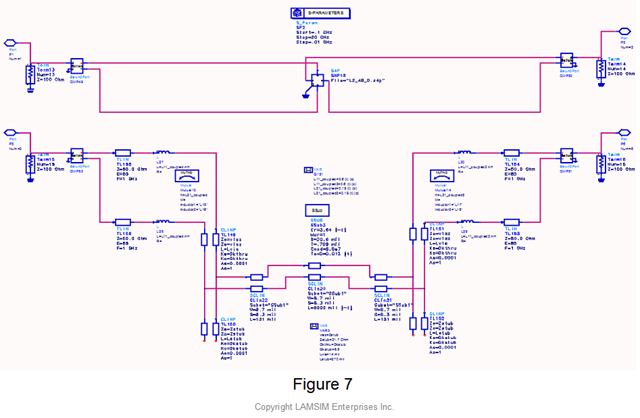 For example, one case study I presented used measurements from a CMP28 modeling platform from Wild River Technology. 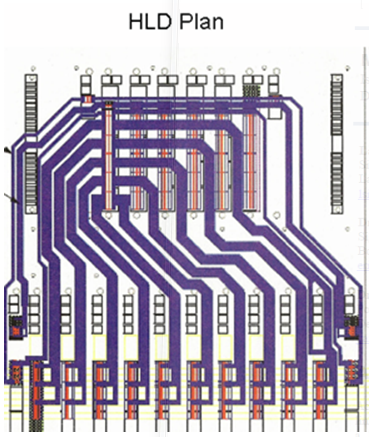 The PCB was fabricated with FR408HR material and reverse treated foil (RTF). 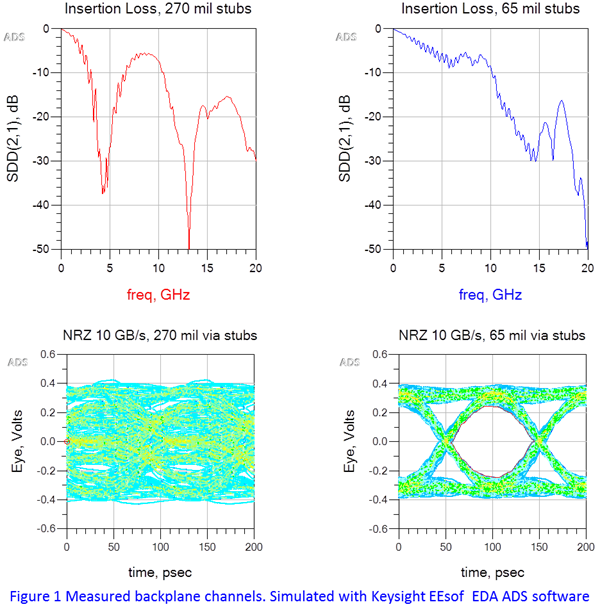 Keysight EEsof EDA ADS software was used for modeling and simulation. 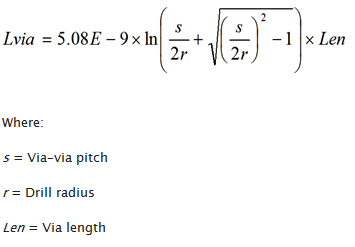 The results are shown in Figure 2. The left graph shows results when data sheet values for core and prepreg were used. 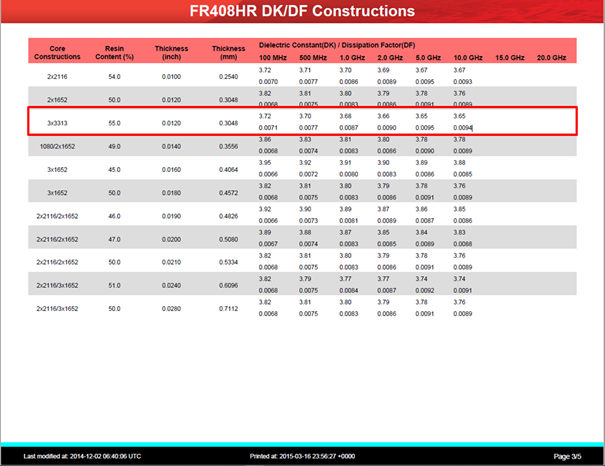 Dkeff measured (red) was 3.761, compared to simulated Dkeff (blue) of 3.626, at 10 GHz. This gave a delta of ~ 4%. But when the Dkeff_rough was used for core and prepreg the delta was within 1%. 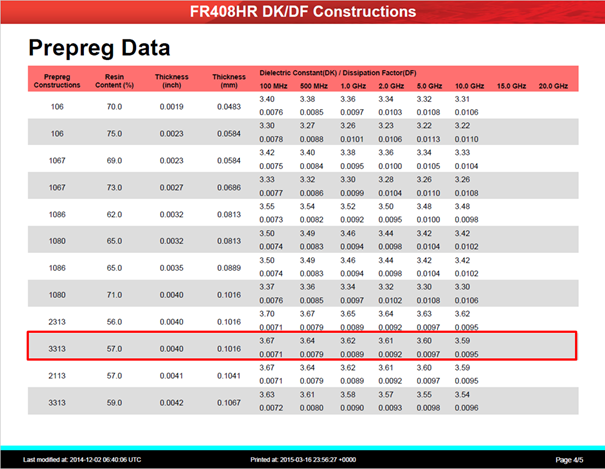 Figure 2 Measured vs simulated Dkeff using FR408HR data sheet values for core and prepreg (left) and using Dkeff_rough (right). 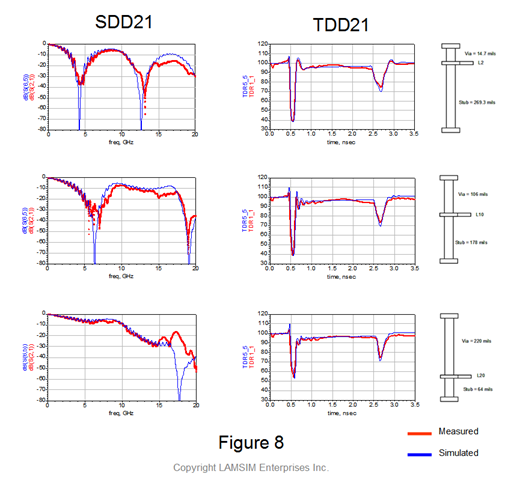 Modeled and simulated with Keysight EEsof EDA ADS software. 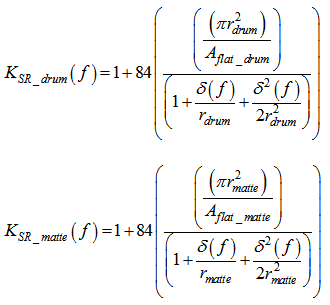 The paper shows in more detail how Equation 1 was derived, based on Gauss’ Law. 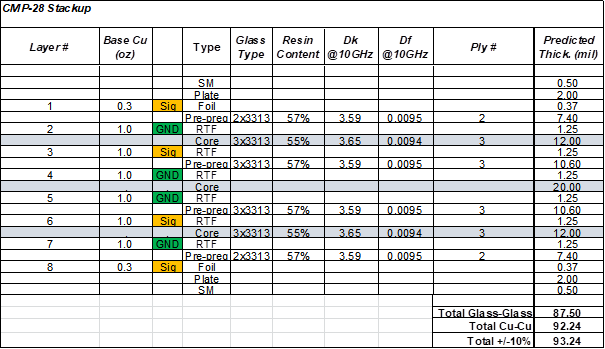 In addition, I show how IL and phase delay is also improved when Dkeff_rough is used instead of data sheet values. You can download the paper titled, “A Practical Method to Model Effective Permittivity and Phase Delay Due to Conductor Surface Roughness”, and other papers on modeling conductor loss due to roughness from my web site. 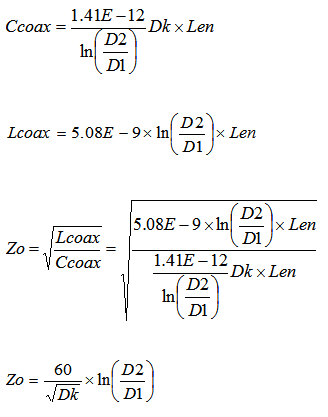 In my last Design Note on coaxial transmission geometry, I mentioned it was one of three unique cross-sectional geometries that have exact equations for inductance and capacitance. The other two are twin-rod and rod-over-plane. 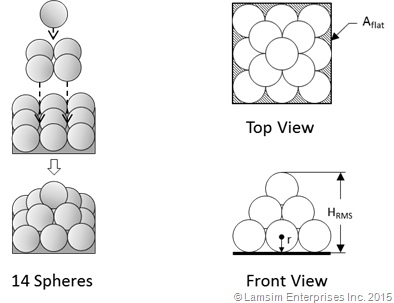 All three relationships assume the dielectric material is homogeneous and completely fills the space when there are electric fields. 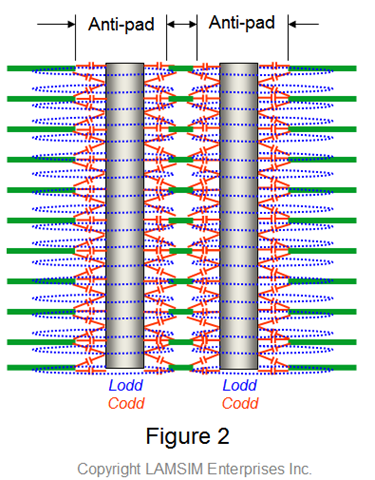 A common application for twin-rod geometry is twin-lead ribbon cable; once used for RF transmission between antenna and TV sets. With the popularity of cable and satellite TV over the years, twin-lead has given way to coaxial cable due to its superior noise rejection and shielding effectiveness. 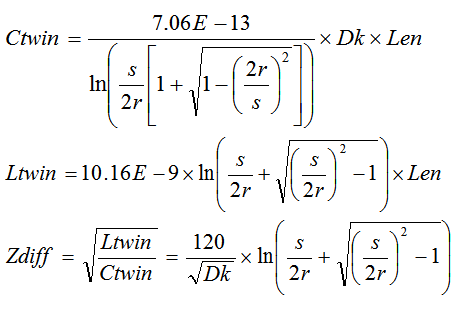 If we look at Figure1, we can see the electromagnetic field relationship of a twin-rod geometry when it is driven differentially. As current propagates along one rod, an equal and opposite current flows in the opposite direction along the other. The right half of Figure 1 shows the magnetic-field loops and direction of rotation around each rod. Only one loop is shown for clarity, but the number of loops is a function of the amount of current and the length of the rods. 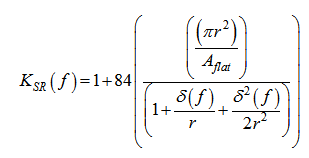 The counter-rotating loops of current forms a virtual return at exactly one half of the space between the two rods. We call this a virtual return because if we were to put a conducting plane in the same position, the electromagnetic fields would look exactly the same. 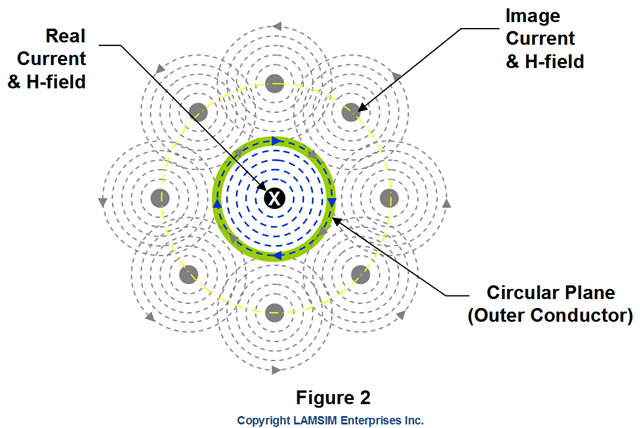 Figure 1 Twin-rod geometry showing electromagnetic field relationship. 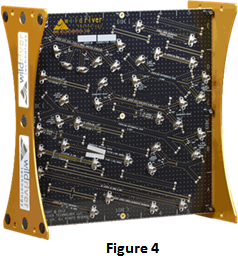 In his book, “Signal Integrity Simplified”, Eric Bogatin defines the loop inductance as, “the total number of field line loops around a conductor per amp of current”, and the loop self-inductance as, “the total number of field line loops around a conductor per amp of current in the same loop” . 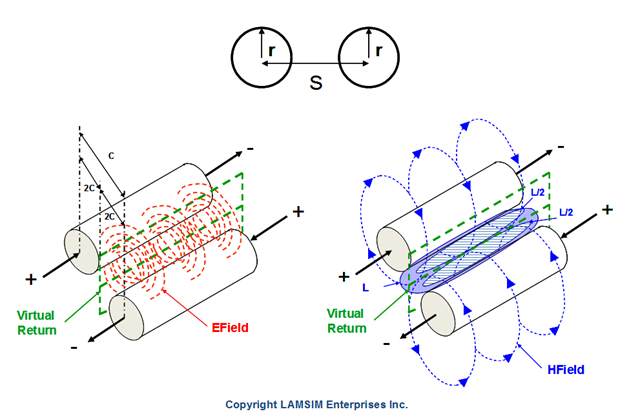 Applying these definitions to the figure, the loop inductance (L) is the inductance between the two rods, and the loop self-inductance (L/2) is the loop self inductance to the virtual return plane; equal to one half the loop inductance. Likewise, the left half of Figure 1 shows the electric field with a capacitance (C) between the two rods, and twice the capacitance (2C) from each rod to the virtual return plane. Because the electro-magnetic fields create a virtual return plane at exactly one half of the spacing between the rods, each rod behaves like a single rod-over-plane geometry as illustrated in Figure 2. Figure 2 Electromagnetic fields comparison of Twin-rod (left) vs. Rod-over-plane (right) geometries. Whenever an AC current carrying conductor is in close proximity to a conducting plane, as is the case for rod-over-plane, some of the magnetic-field lines penetrate it. When the current changes direction, the associated magnetic-field lines also change direction; causing small voltages to be induced in the plane. These voltages create eddy currents, which in turn produce their own magnetic-fields. Eddy current-induced magnetic-field line patterns look exactly like magnetic-field lines from an imaginary current below the plane; located the same distance as the real current above the plane. This imaginary current is called an image current, and has the same magnitude as the real current; except in the opposite direction . The image current creates associated image magnetic-field lines in the opposite direction of the real field lines. As a result, the real magnetic-field lines are compressed between the rod and the plane. 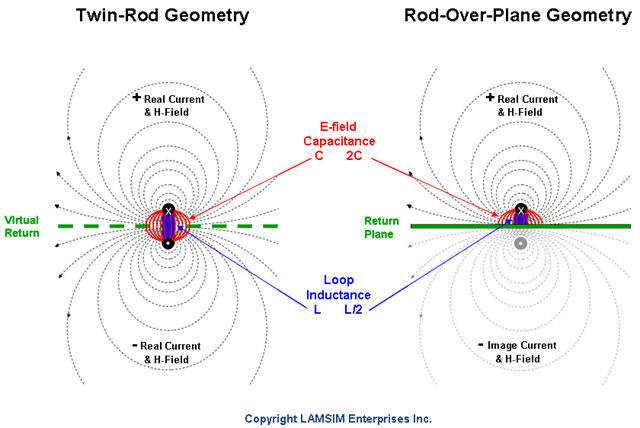 Since the rod-over-plane geometry has only one rod, the loop inductance is the same as the loop self-inductance. For a twin-rod geometry, the odd mode capacitance is the capacitance of each rod to virtual return plane and is equal to twice the capacitance between rods. Likewise, the odd mode inductance is the inductance of each rod to virtual return plane and equal to one half the inductance between rods. The odd mode impedance of each rod is half of the differential impedance, and is equivalent to the rod-over-plane impedance.